Larville Pool Garden Resort and Restaurant is located along the southern part of the Province of Cebu, Pugalo, Alcoy. Just a 2 hour ride from Cebu City, you can enjoy a relaxing experience together with your love ones and or firends with it’s unique style Pool, Resthouse and Bamboo Nipa huts. Alcoy is the haven of the black shala or “siloy” birds. The waters of Alcoy teem with marine flora and fauna. Diving and snorkeling are options for visitors who want to see more of this underwater spectacle. It is also the home of the world’s biggest dolomite deposits and Cebu’s biggest rainforest. 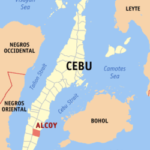 It is located approximately 93 kilometers south of Cebu City; bounded by Dalaguete on the north, Boljoon on the south, Malabuyoc and Alegria on the west, and Bohol Strait on the east. 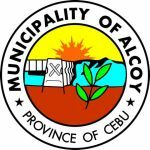 Alcoy’s tourist attractions include white beaches, coves and inlets, barrier and coral reefs, mangrove forest, verdant hills and valleys, towering mountains, fertile farmlands in the highlands. 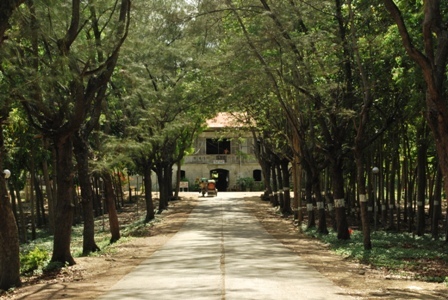 Nug-as Rainforest in Alcoy is where you can find a wealth of biological species found only in heavily forested areas. 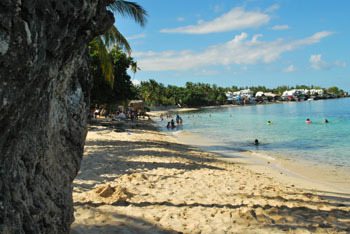 Tingko Beach in Barangay Daan Lungsod has all the pristine beauty and rustic charm tourist always find hard to resist. 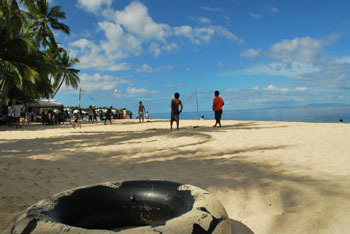 Graceful coconut palms, age-old boulders and a rock overhang all frame the inviting sea. 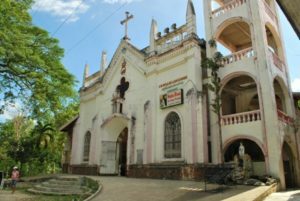 Santa Rosa de Lima Parish – The town of Alcoy was one of the last foundations of the Augustinians in the island of Cebu. It was founded as a civil town in 1867 and as an independent parish in 1890 under the advocation of Santa Rosa de Lima. Fr. Bartolome Fernandez was its first parish priest. The first temporary church building was made of bricks, constructed in 1889 by Fr. Bartolome Fernandez. Fathers Luciano Fernandez and Alicerio made restorations to the church in 1893 and 1976, respectively. Of the church’s original bells, only two are left. 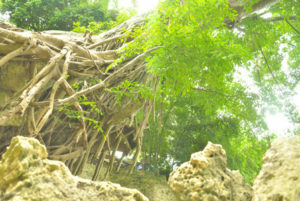 Obong Spring is a fresh water spring which emanates near the beach. Because of steady outpour of water, a pool of freshwater meets the sea especially when the tide is high and the water become brackish. So, that’s the explanation behind such mystery. 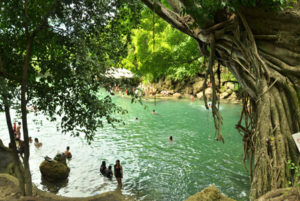 The spring is located in Dalaguete, Cebujust 10 minutes away from the resort.